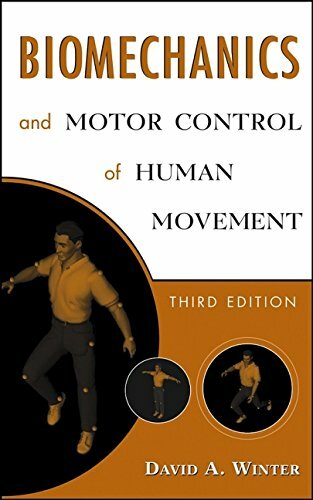 This is a thorough update of the classic book on human movement in biomechanics. "Biomechanics and Motor Control of Human Movement, Third Edition" is the thoroughly updated and retitled version of the widely used Biomechanics of Human Movement. Integrating a common set of data and analyses with reliable material on biomechanical techniques, this up to date edition examines techniques used to measure and analyze all body movements as mechanical systems, including such everyday movements as walking. This highly informative and accessible Third Edition treats each limb of the body as a separate segment connected at hinge joints. Actuators replace muscles, and torque motors replace the net effect of all muscles. Descriptions of movements are given as well as examinations of the cause of the movement at kinetic and electromyographic levels. "Biomechanics and Motor Control of Human Movement, Third Edition" features: new material on 3D kinematics and kinetics emphasizing motor control; expanded coverage on image measurement systems; new information on 3D center of mass estimates; models of the kinetics of balance control; the latest research findings on fundamental relationships; and, new biophysical models of EMG detection, as well as standards for recording and reporting. Complete with basic physics principles presented in capsule form for quick reference, "Biomechanics and Motor Control of Human Movement, Third Edition" is an essential resource for students and researchers. DAVID A. WINTER, PhD, is Distinguished Professor Emeritus in Kinesiology at the University of Waterloo. Prior to his appointment at Waterloo, he held appointments in surgery at the University of Manitoba, served as director of Biomedical Engineering Research at the Shriners Hospital in Winnipeg, and worked in electrical engineering at the Technical University of Nova Scotia, Halifax, and at the Royal Military College, Kingston. His many distinctions include Fellow of the Institute of Electrical and Electronic Engineers and of the Canadian Society for Biomechanics. He was the first recipient of the Career Investigators Award by the Canadian Society for Biomechanics, the Lifetime Achievement Award by the Gait and Clinical Movement Analysis Society and the Muybridge Medal by the International Society of Biomechanics. In addition to this text, he is author of three other texts on the biomechanics and electromyography of normal and pathological gait, balance during standing and walking, and signal processing in the movement sciences.